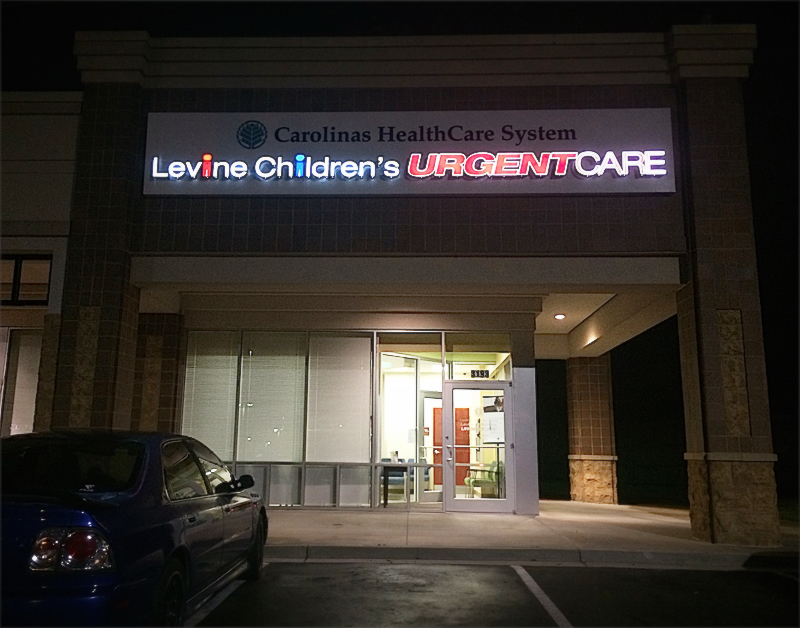 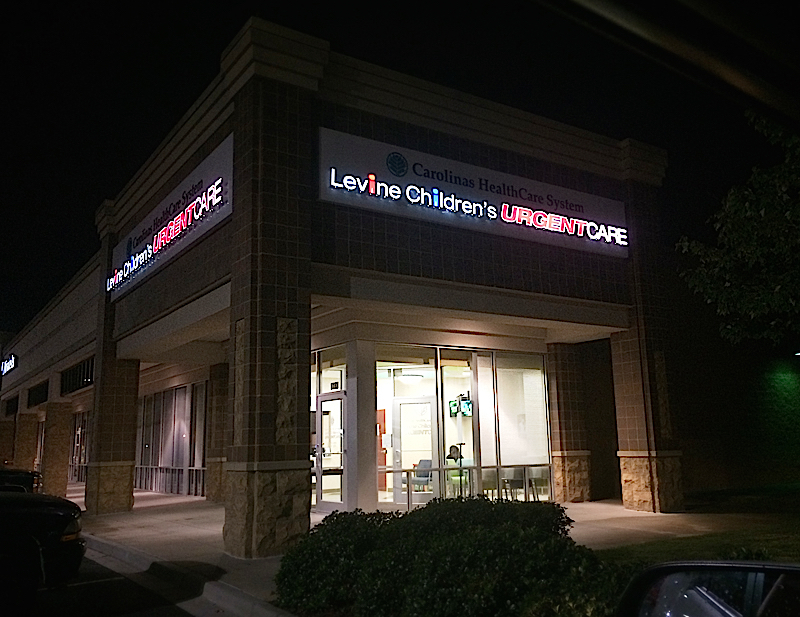 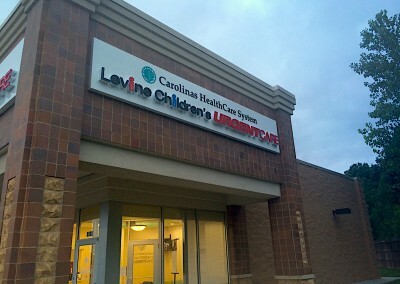 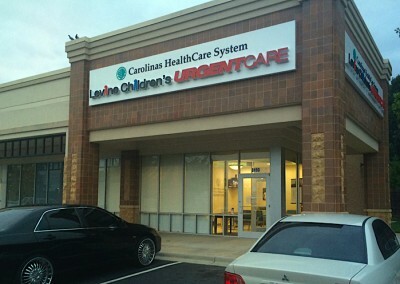 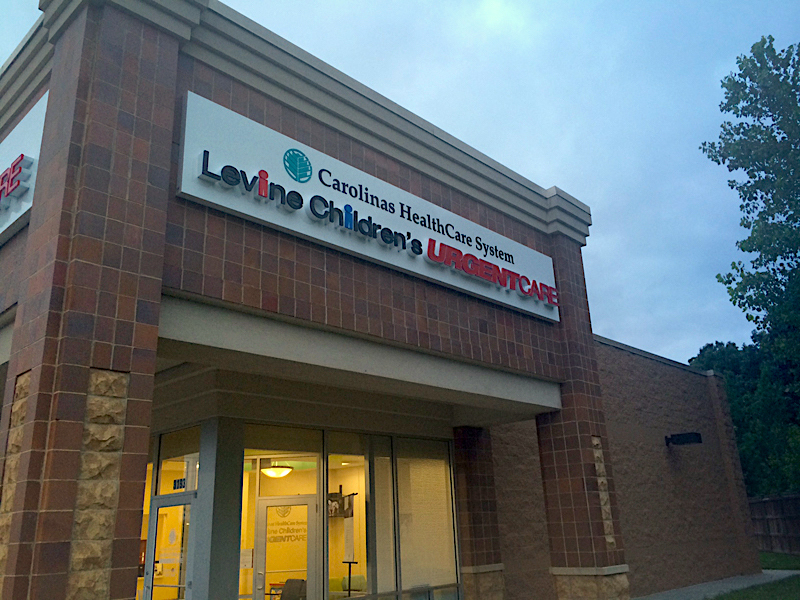 A pair of large, nearly identical pan signs we fabricated and installed for Carolinas HealthCare System. 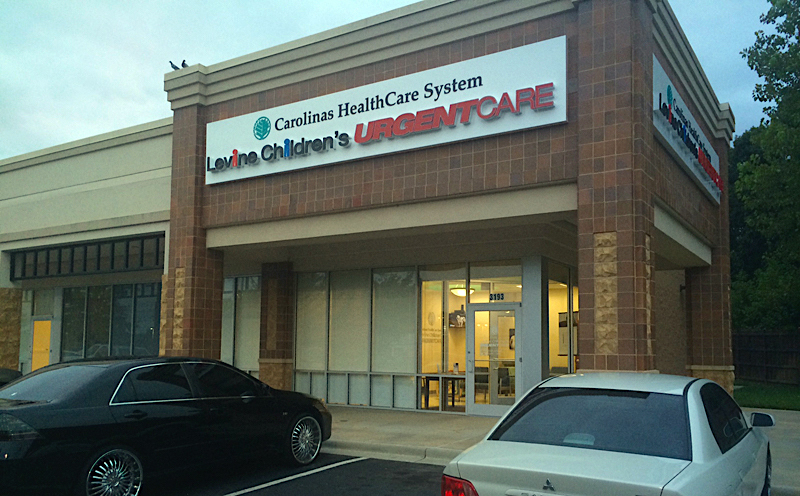 One is 48″ high x 288″ wide and the other is slightly smaller at 42″ high x 252″ wide. The copy is a combination of 1/4″ plate aluminum and LED illuminated channel letters with colored and day/night vinyl on the face. 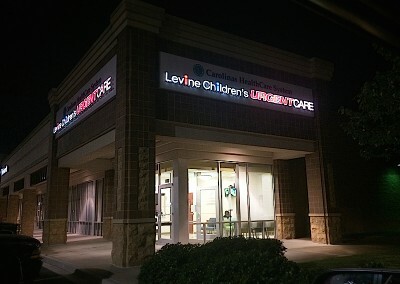 This allows the text to appear black during the day and white at night.